Reasons to get rid of Jogotempo virus immediately. How can I get infected with adware? If you love spending your free time or lunch breaks playing Flash games, you may have encountered the Jogotempo virus. You can suspect this computer infection if you have noticed your browser constantly crashes or freezes, and the number of delivered ads increased significantly. This virus belongs to an adware category, so it is designed for providing excessive amount of commercial content. 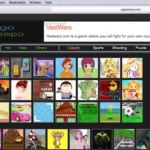 It uses a virtual layer to display Jogotempo ads as pop-ups, banners, in-text ads or discount coupons. If you got infected, you should know that these ads are not delivered by the owners of the visited website; they belong to various third-party businesses. It’s crucial to keep away from these ads and avoid clicking them because they might be malicious or lead to the potentially dangerous website. After one click you may let ransomware virus inside and lose all your personal files. 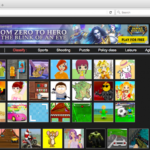 Usually, ads offer playing games and often stars appearing after downloading a game from this website, so it’s better to look up for another gaming site. However, if you already did it, you should uninstall the game and remove Jogotempo from the PC. We recommend completing this task with Reimage. You can recognise potentially dangerous ads by their label. 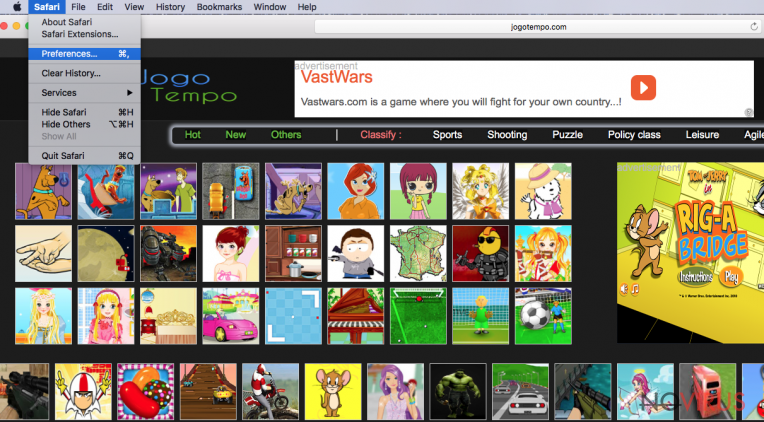 Usually, they have little and almost invisible titles ‘Jogotempo ads’ or ‘Ads by Jogotempo.’ Computer users complain that some of these ads do not have X button, or after clicking it they are still redirected to the promotional website, or after reporting particular ad as irrelevant, it still appears on the screen. Indeed, the only effective way to run away from various commercial offers is Jogotempo removal. Moreover, you should not delay adware elimination process till tomorrow or the next weekend because it may collect information about you. While this application residents on your PC, it monitors your browsing activity and habits by employing cookies. Jogotempo virus may gather information not only about your visited websites and search queries but also your email address, IP address, and other personal details. This information is necessary for delivering interest-based ads; however, you can never be sure what other hidden purposes the creators of the adware have. Jogotempo adware is not powerful enough to infiltrate the system alone; it needs some help. Adware spreads bundled with other software as an optional program. The developers use deceptive software marketing technique called ‘bundling’ that allows adding and hiding their app under basic installation setup. Most of the time users use recommended installation option instead of advanced. Using these settings, you can expect not only Jogotempo hijack but other PUP installation as well. If you want to protect your computer from unwanted programs, you have to use advanced installation mode and attentively follow each step. When you see the list of pre-selected items, you have to deselect them because they are mostly browser hijackers or adware. 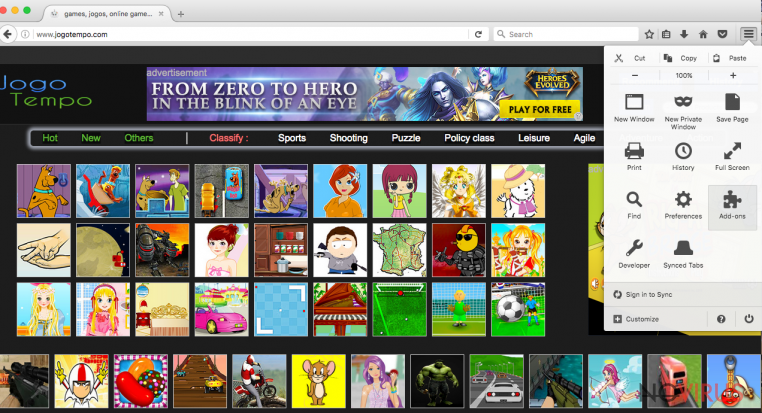 Computer users also claim that these ads started popping up when they installed one of the games presented on this website. So, you should look up for another site that offers games. 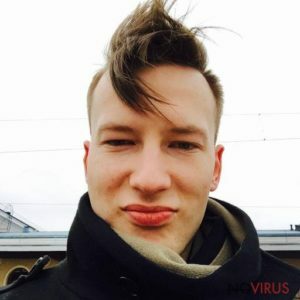 If you don’t want to deal with potentially dangerous Jogotempo redirect issues and accidentally install malware, you should not delay virus elimination. Usually, users think that it’s hard to remove adware; however, it’s quite the opposite, especially, if you decide to choose automatic Jogotempo removal option. Using this method you just have to install a reputable anti-malware program, update it and run a full system scan. Within several minutes, this annoying application will be removed, and you will be able to surf the net without any problems. Additionally, you can remove Jogotempo adware manually by following our prepared step-by-step guide below. Follow the instructions carefully and look for these applications that may be related to Jogotempo adware: Jogotempo 3.2, Delta Homes, Search Protect, Internet Speed Check, DNS Unlocker, etc. Now, take a look at the list of programs and find Jogotempo or other programs that you do not remember installing. To remove adware from your Mac, you have to remove all virus-related components such as Delta Homes, Search Protect, Internet Speed Check and DNS Unlocker. Manage Add-ons window will appear on your screen. Now, search for Jogotempo and other questionable browser add-ons. Right-click them on each of them and select Disable. A new window appears, and then you have to tick Delete personal settings and click Reset to finalise Jogotempo removal. After completing these steps, Microsoft Edge should be Jogotempo-free. Jogotempo hijack may have affected your Mozilla Firefox. Follow these steps carefully and remove all suspicious plugins, extensions or add-ons from your browser. Now, locate Jogotempo and other suspicious extensions. Click Remove to eliminate them. Reset Firefox to its default state message should appear then. You will see Reset Firefox button. Click this button a few times and finalise Jogotempo removal. Now, look for Jogotempo and other suspicious extensions and then click the trash icon to remove them. Click Reset to approve this action and finish Jogotempo removal. Jogotempo virus may have installed suspicious entries to your Safari browser. So, you have to find and eliminate them as shown below. This post was published on 2016-11-28 at 10:46. Category: Adware, Viruses. What method did you use to remove Jogotempo adware?